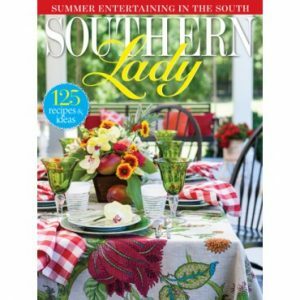 The South’s ultimate season for porch living is upon us, so give the beloved space a summer makeover with simple projects, spectacular accents, and pretty potted plants just in time for Memorial Day and the happy, carefree times that follow. Set the scene with an eclectic color scheme rooted in refreshing blue. 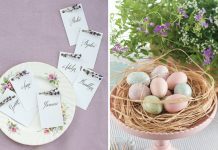 Notes of patriotism, such as an American flag waving proudly in the breeze and subtle pops of red and white against the blue, lend themselves perfectly to the season and function as ready-made décor for holidays like Memorial Day and the Fourth of July. 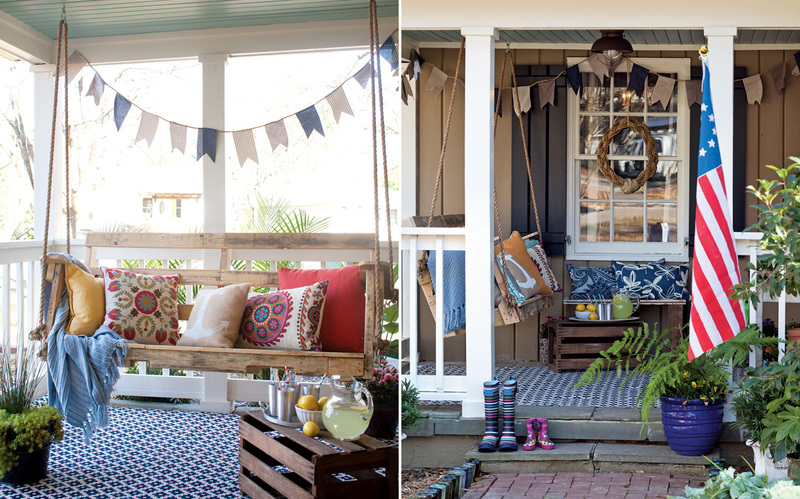 Bunting in a mix of prints adds a fun, celebratory touch, while a sizeable outdoor rug, along with pillows and throws, creates a cozy feel for simpler days spent resting in the shade. 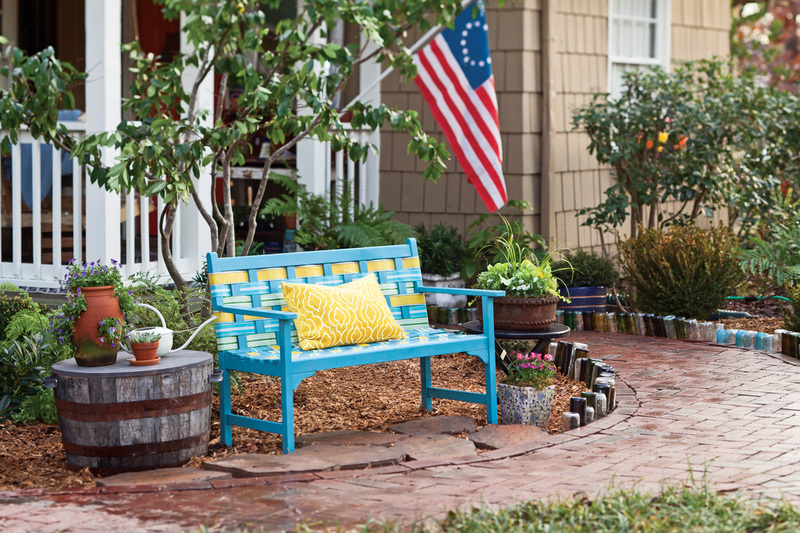 A weathered table finds new purpose as a chic potting bench on this small porch. 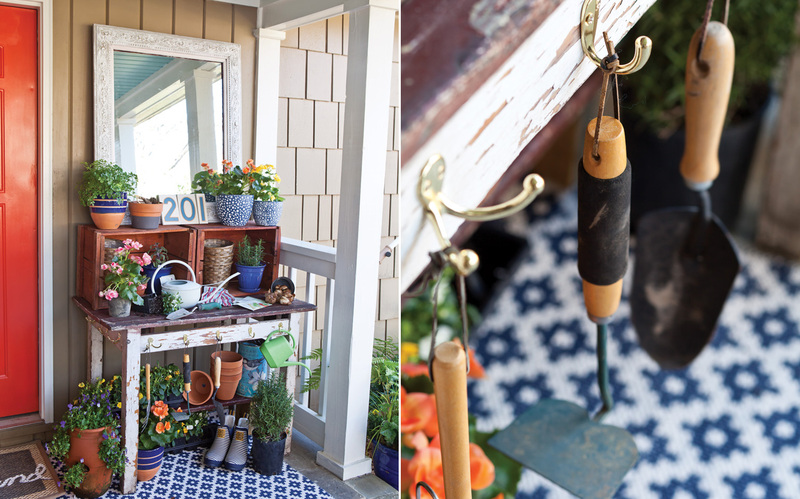 A few simple coat hooks installed around the edges hold handy garden tools, and a pair of crates adds extra storage to the tabletop. This quaint station contributes to the rustic style of the space and showcases a bit of summer’s natural color. 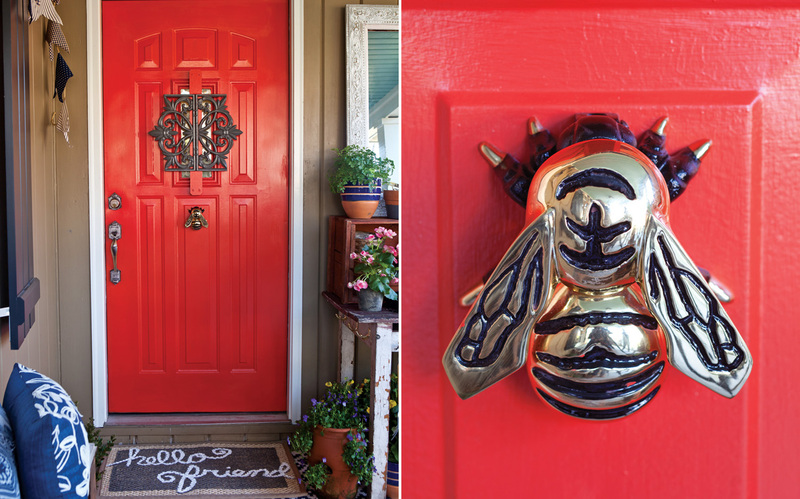 A hand-painted doormat and a whimsical bumblebee door knocker are cheery accessories. The lovely scene wouldn’t be complete without abundant floral accents and verdant signs of the season. 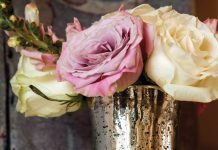 Create a moveable feast for the senses with colorful containers and a variety of intriguing plants. 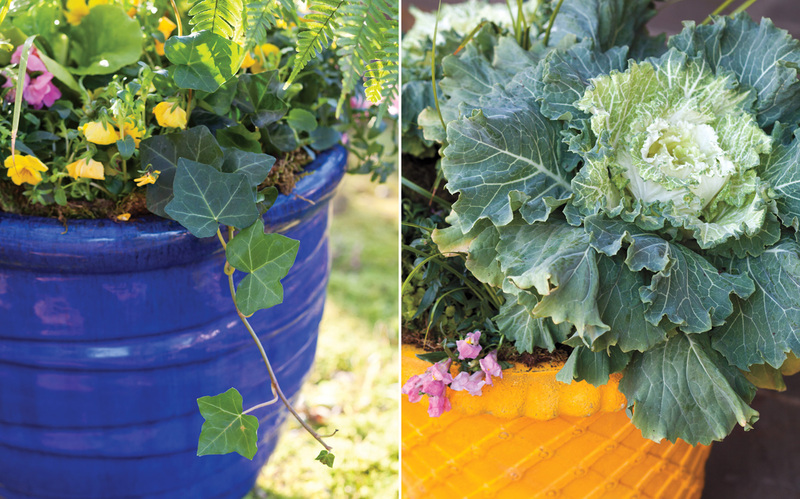 Get helpful container gardening tips here.